Back in college, I was one of those skinny people who ate a lot. My friends could not figure out how I could eat so much and still stay so skinny. This was ages ago, before “high metabolism” became a buzz word. One of them said, “You probably have worms.” And it stuck. My friends mentioned the worms thing so often that I started wondering about it myself and had myself tested for worms at the hospital. I didn’t have worms back then, but now I am proud to say that I’ve got worms! I have about 20,000 African Night Crawlers! We got the worms to process the horse manure. Yes, we are turning horse manure into worm manure. Not all manure is equal. In the farming and gardening world, worm manure is king! Humus is the fundamental building block of soil. It is what holds and transfers water within the soil structure. You’ll notice less watering is needed when plants are grown in vermicast. When you buy sterilized potting soil you are basically buying a dead product. Vermicast is like the yogurt of the soil world and we all know how good those probiotics are for you. The bacteria in worm castings are one of the few things that can naturally break the Nitrogen bond, giving plants rare soluble nitrogen that they can easily absorb. The micro organisms also provide hormones which boost the plants immune response, making for larger and stronger specimens. Vermicast is one of the only certain ways you can fertilize without man-made chemicals, all the Nitrogen, Potassium and Phosphorus plants need to live is made by Mother Nature herself. The difference between chemical fertilizers and natural fertilizers is reflected in the quality of the soil you end up with, chemical fertilizers eventually creat sterile soil and must be used continuously for plants to grow. Vermicast slow releases fertilizer and strengthens the “body” of your soil along the way. Once your soil is strong and virile, you can simply water with easy to make vermicast tea to supply nutrients. There are many different species of worms. 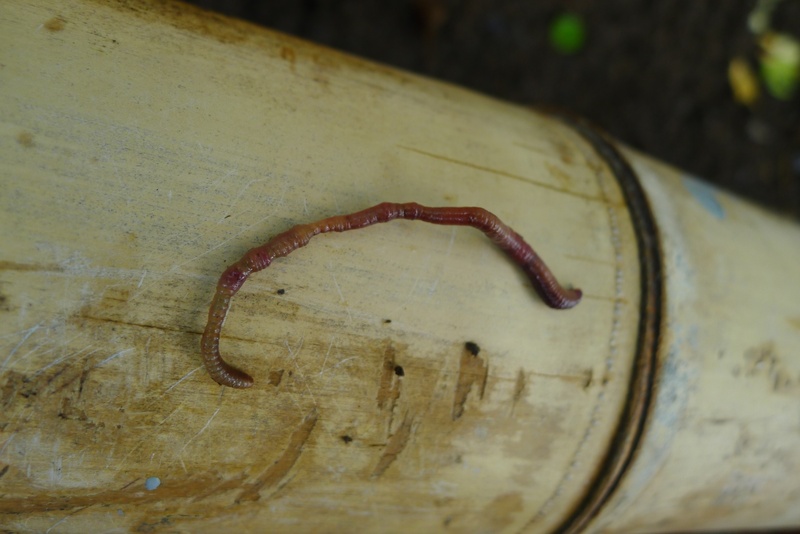 African Night Crawlers are one of the most popular species for composting because they eat decaying organic matter that’s on the surface, don’t make permanent burrows, are easy to contain in a worm bed or worm bin, and their poop or vermicast is easy to harvest. 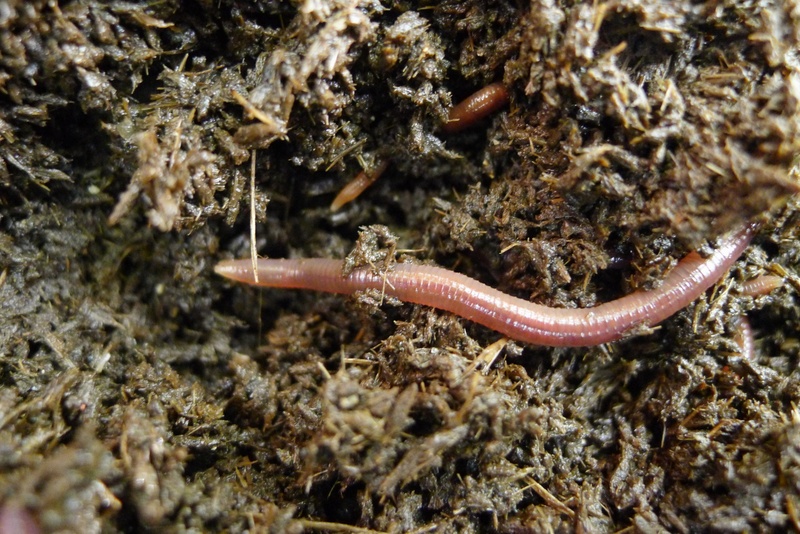 Other types of worms are not as suitable for composting either because they prefer to live in very deep burrows or they don’t come to the surface to feed. 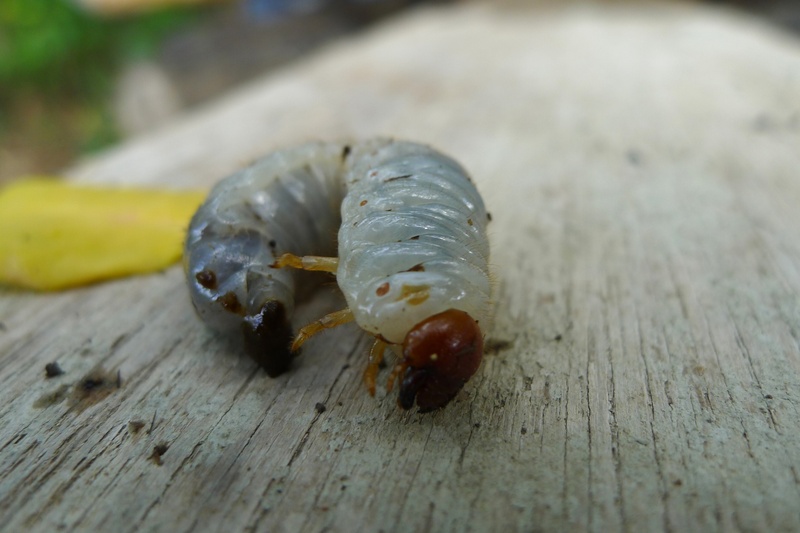 African Night Crawlers or ANC have feeding and pooping habits that are very convenient for the farmer or gardener who wants to harvest the vermicast. ANC crawl to the top of the worm bed and deposit their poop there, then crawl back down to where the food is. This creates a very nice layer of vermicast at the top of the worm bed that can be scooped up and bagged when it gets thick enough. One kilo of ANC can process 1 kilo of wastes every day. 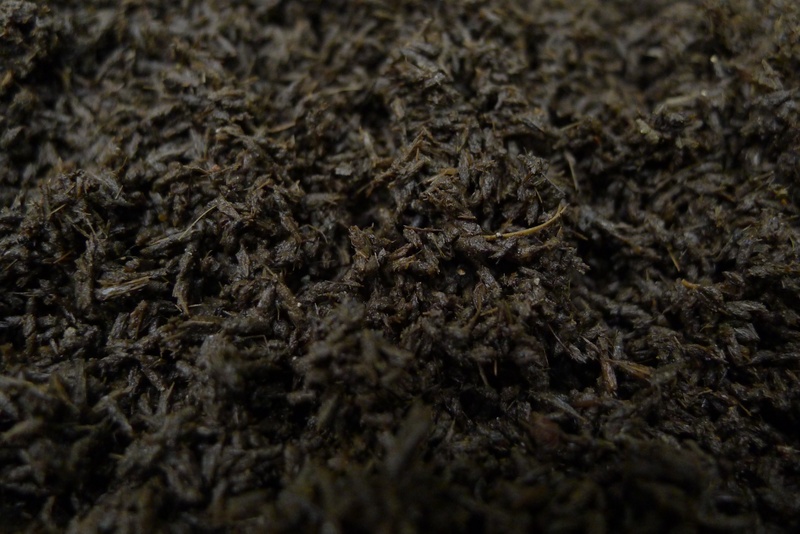 Out of this waste, the yield is about 60% vermicast. Given the proper conditions, the ANC will start to multiply after three months and the population can double in 5 – 6 months. Deformed worm. We found several of these in our batch of worms. Vermiculture is popular here in the Philippines. There are many different types of seminars available to teach you how to set up your own worm beds, from 3-day live-in seminars one-afternoon lectures. We opted to hire a worm consultant to set up our operation. The trickiest part of worm composting is getting the moisture level in the beds just right. Ideally it should be 60 – 80% moisture. Getting this level right requires grabbing a handful of horse poop and giving it a good squeeze. If 3 – 5 drops of water come out, then the moisture level is ideal. Thankfully, our caretaker has become quite good at this! The other part we had a problem with was preparing the horse manure. You are supposed to compost the manure first before adding the worms. If you add fresh manure, the worm bed will heat up too much when you add water because of the decomposition process. So you have to compost the horse poop so you can compost it into worm poop. Ah, there is a duplication of processes here! The worm bed. Left side has been processed by the worms, right side has not. I hope to change the tarp cover to something more durable. You should also guard against predators. When we first seeded the worm beds, we suddenly got infiltrated by a lot of black ants! It turns out, that black ants are not harmful to the worms. It’s likely that they were just checking out the new residents and doing some “clean-up” by harvesting the dead worms. The husband got worried when he saw some black ants dragging away a dead worm. But chances are, the ants did not kill the worm. Grubs on the other hand, will eat the worms. They should immediately be taken out when found in the worm bed. Close-up of a grub. Looks like something from Lion King. Hakuna Matata! So we left the grubs in the grass for the wild birds to get them. Oh no Barkley, what was that crunching sound?? It’s very reassuring to know that with just a little TLC, my thousands of ANC are turning the horse manure into vermicast. When you see the vermicast, you know it is worth all that extra effort. The vermicast looks nothing like horse manure. It looks deep and rich, like coffee grounds. If you look at it very, very closely, it does look like something a worm excreted. 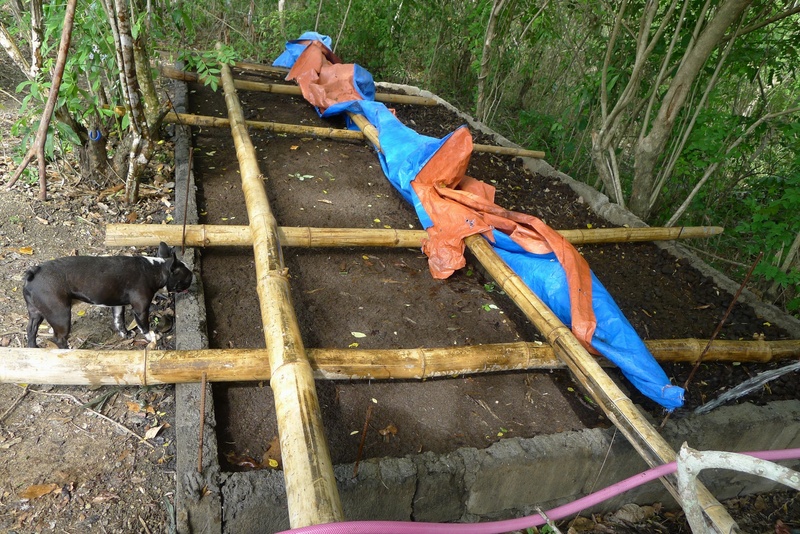 It’s an amazing transformation from grass to horse manure to vermicast! Hahaha! Loved this post—Barkely pic is hilarious! You are STILL one of those skinny people, I never said you had worms—-and I love the new banner/header thing! Thanks Sandy! New banner is part of my blog overhaul. Thank goodness for Paper by 53, otherwise it would take forever start on a drawing! Barkley — I am hoping he only found one of the grubs. And, thanks for never saying I had worms! It really was only those certain other friends who only met me in college. interesting…do you have to be very careful about containing them to keep them from becoming invasive? Not really. The worm consultant said that they will only move out if there is no food in their worm bed or if the conditions there are bad, like if it’s too wet or too dry. The worms are able to move from one side of the worm bed to the other. My caretaker thinks they even traveled outside the worm bed and into a nearby sack of horse manure. The caretaker wants to line the bottom of the bed with plastic to prevent the worms from traveling so much. The worm consultant wasn’t worried at all about them moving around. He thought it was ok if some worms got accidentally broadcast into a field so I’m assuming they are not invasive. Great story. I was also skinny and my mom and dad teased me about the amount of food I could put away. My mom used to tell me I had a tapeworm. And then she would tell me the horror story about holding a roast chicken in front of my face so the worm would smell it. Then the worm would come out of my mouth to get the chicken and they would be able to grab it and kill it. I’m still traumatized by the sight of a baked chicken. I do have a worm garden though. Oh no!! Now that suddenly makes me remember the tapeworm horror stories I heard as a kid. Ugh! Nothing that tops your story though! This was great! We shared it with our FB readers at homesteadlady.com. Thank you so much for sharing it! I dropped by your FB page, lots of great info there! Very interesting! Since worms are so good for your garden, would it be okay to put a bunch of them directly in your garden or would they eat the roots? I don’t know about other worms, but these ones won’t eat the roots. They only eat decaying organic matter from the soil surface, bacteria, fungi, and other compost organisms. They would be ok in your garden. It’s more convenient though to have them contained in a worm bed so you can feed them your veg scraps or animal manure and then harvest the castings. 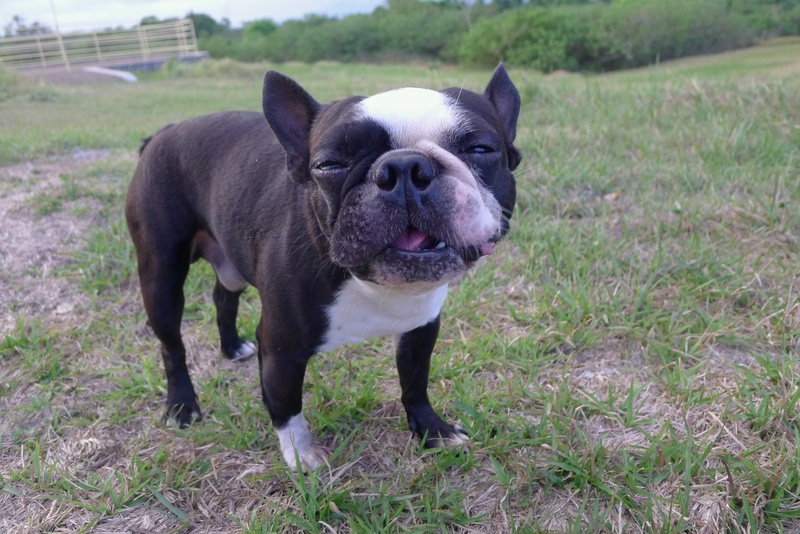 I agree about Boston Terriers!!! Barkley always makes us laugh! So interesting. Thanks for the useful info. Thanks! I’m excited to start using the vermicast for planting! Next Next post: Horses, I Have Grossly Underestimated You!